Ellie Symes went from college student at Indiana University to the CEO of a business all in the name of healthy honeybees. Symes had a passion for bees and wanted to help others understands the buzz too. So, with the help of a grant, she created a student-run beehive at her university where she and her peers spent countless hours caring for bees and tracking their actions. The operation is called The Bee Corp. Its goal was to empower beekeepers as well as safeguard food security. After kickstarting the business, the group tried to find research on honeybees to manage them better but fell short. It was then when she knew she could do more. So, they decided to do their own research. As the research started, she found there wasn’t enough data being collected nationwide to determine the ups and downs of bee populations. Keeping her goal in mind, The Bee Corp then started figuring the one thing missing from the industry — data on beehives health. 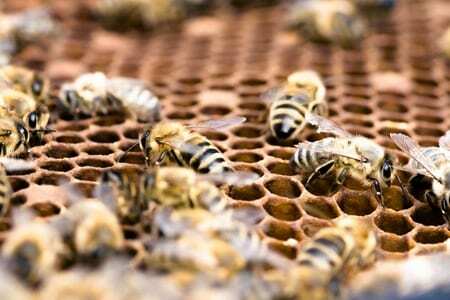 “The whole thesis, the whole time has been how can we use technology to help beekeepers manage their hives,” Symes said. The group started using sensors in the hives to collect their data better. 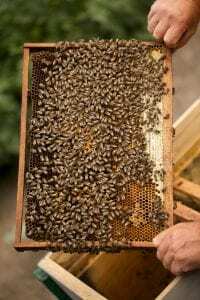 They found that understanding the thermodynamics of the hive has been beneficial to not only the honeybees and the beekeepers, but others in the industry who use the bees for pollination such as almond and citrus growers. Listen to Symes, talk about her journey from student to CEO and what her company is doing for the industry below.